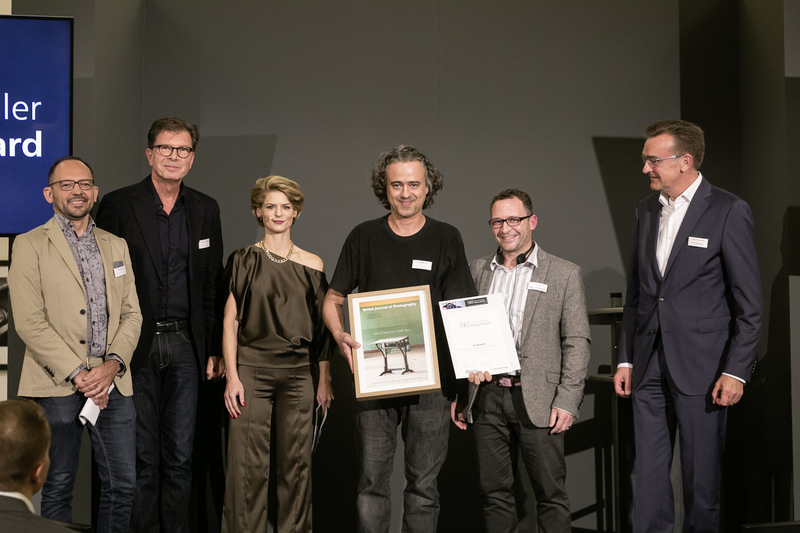 The newly established Audience Prize, supported by the British Journal of Photography went to Brazilian photographer Guilherme Bergamini (third from the right). The Felix Schoeller Photo Award is one of the richest photography competitions in the German-speaking world. It honours work that demonstrates a love of photography and the highest standards of image quality. As a manufacturer of specialty papers for the largest possible prints, we are seeking to honour and support photographers who share our passion for uncompromisingly good photos. The Felix Schoeller Photo Award will be awarded every two years. Anyone who loves, and is professionally involved with, photography or contemporary photographic design is warmly invited to take part in this competition: national and international professional photographers, photographic designers and photographic artists, and emerging photographic talent, i.e. photographers enrolled on a degree course, a professional training or internship. The only thing that counts is the photograph. Our aims are to offer all entrants the opportunity to present their work to an international audience and give awards to promote outstanding work. We would also like to discover promising new talent, and have set up a separate Emerging Photographer Award to support young people’s progress towards a career in photography.